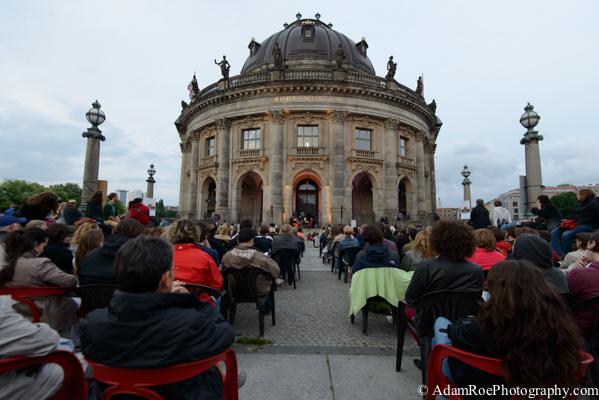 Throughout the summer, Clärchens Ballhaus puts on a free classical concert series called Sat one of my favorite spots in Mitte, the bridge behind the Bode Museum on Museumsinsel. Appropriately, the series is called Sonntagskonzerte am Bodemuseum, Suday Concerts at the Bode Museum. 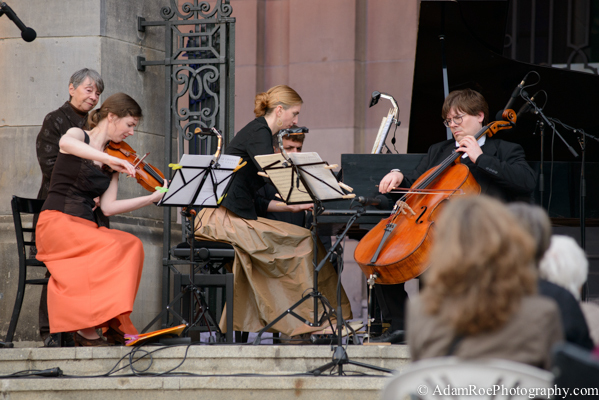 These photographs are from the opening concert this summer on July 14th, 2013, which featured the Klaviertrio Würzburg. The Klaviertrio Würzburg, during their concert. The trio played in front of the Bode Museum, on a bridge over Museumsinsel. 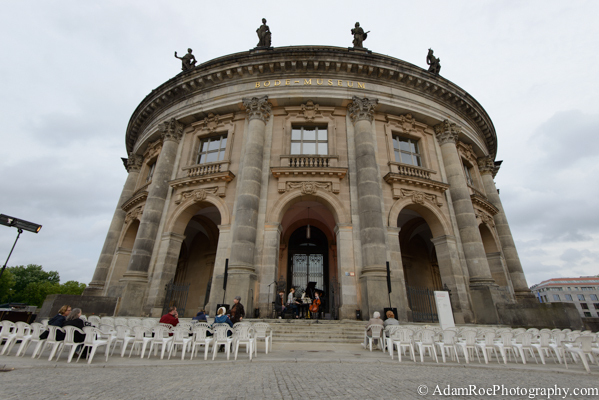 Clärchens Ballhaus organizes the concerts in front of the Bode Museum. Warming up before the show. 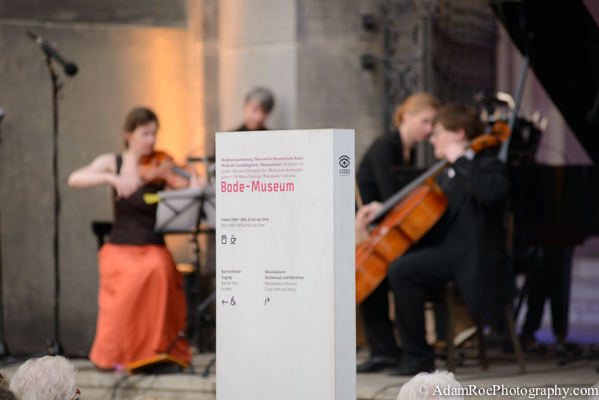 This entry was posted in berlin, music and tagged bode museum, clärchens ballhaus, klaviertrio würzburg, sonntagskonzert am bodemuseum on July 30, 2013 by AdamRoePhotography. The Distiller’s Edition series is growing, this time with a visit to the Our/Berlin distillery, where a delicious, smooth Vodka finds its way to bottles. Check them out here, and stay tuned for more images in the gallery, coming soon. This entry was posted in berlin, distiller's edition and tagged distillery, flutgraben, our/berlin, our/vodka on July 14, 2013 by AdamRoePhotography. Cadu Bajo played a great show in May, DJ with electric guitar over it. The setting was Brunnen 70 – yes, the address is Brunnenstrasse 70 – a club in the basement of an enormous plattenbau, accessible by freight elevator. Classic Berlin. This entry was posted in berlin, music and tagged Brunnen70, Cadu Bajo, club photography on July 4, 2013 by AdamRoePhotography.